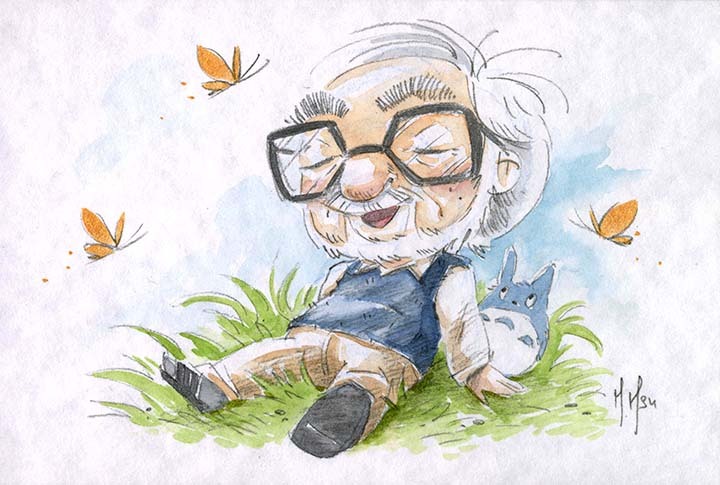 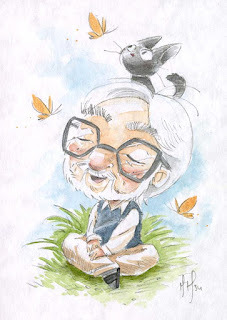 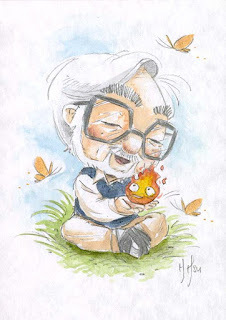 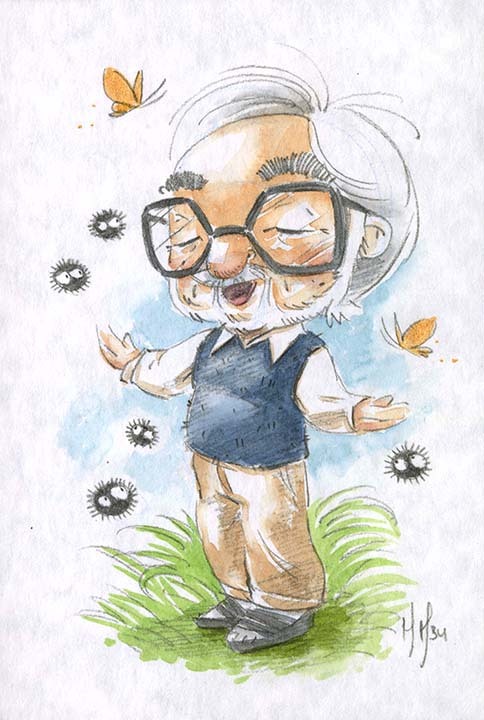 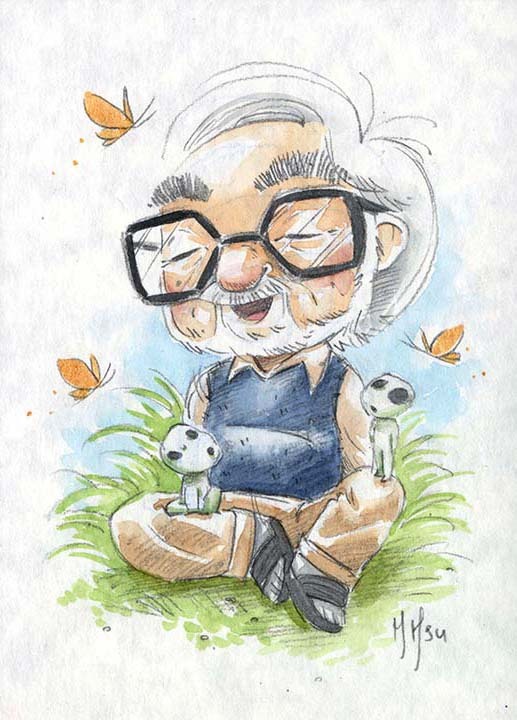 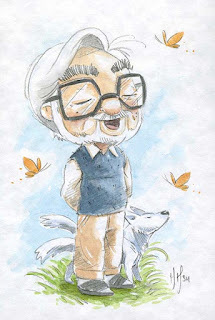 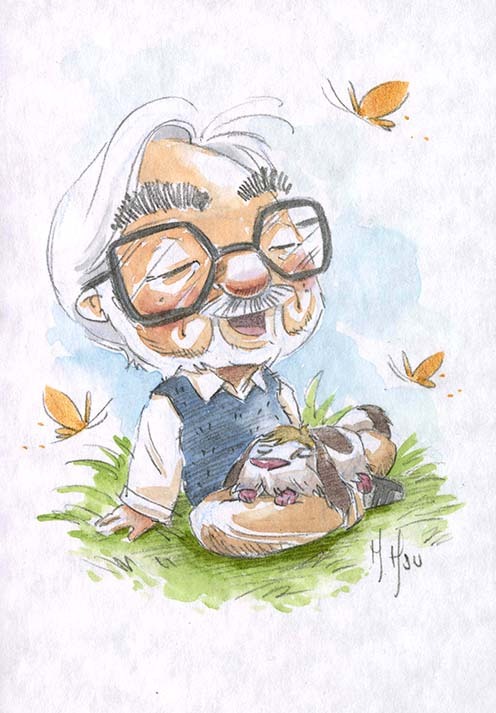 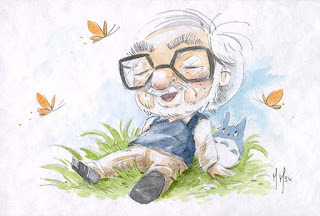 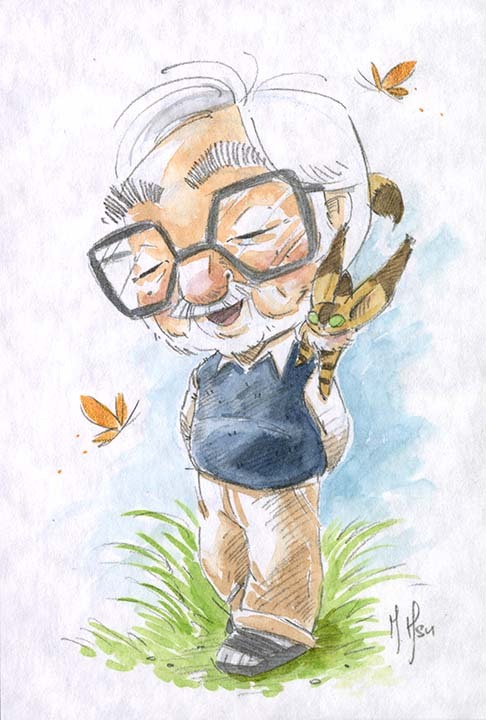 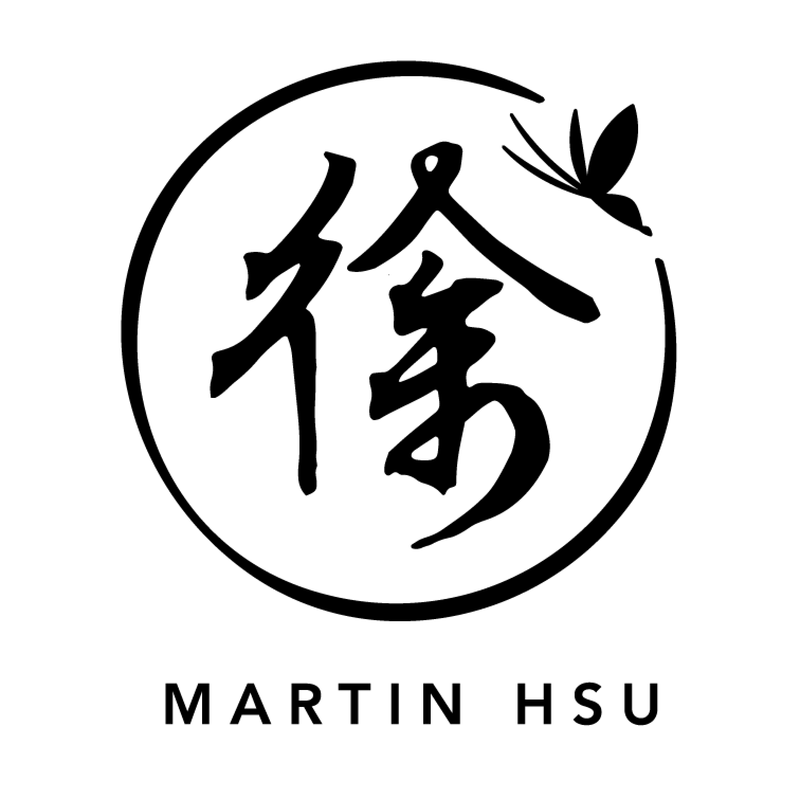 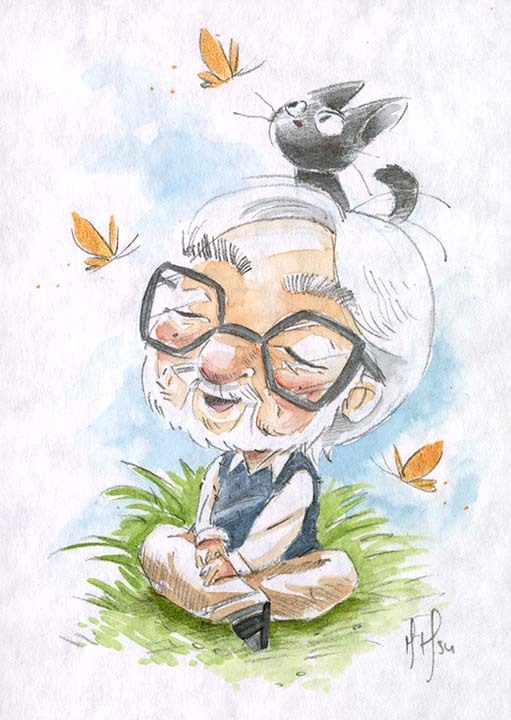 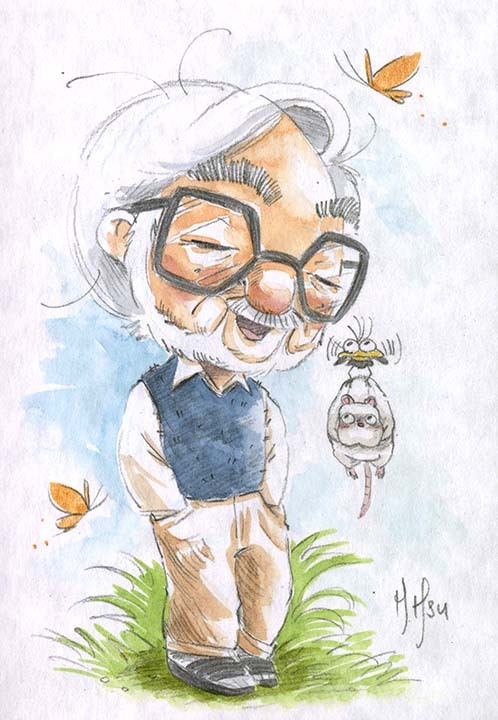 Martin Hsu Art: Hayao Miyazaki-sensei 76th Birthday! Morning Strolls, an annual series of artwork since 2014, illustrating Miyazaki-sensei taking a stroll early in the morning somewhere on the outskirts of Tokyo. 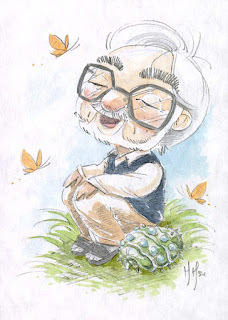 In each image, he’s accompanied by imaginary creatures he has created such as baby Ohmu from Nausicaa, Jiji from Kiki’s Delivery Service, Kodama from Princess Mononoke, and Totoro. 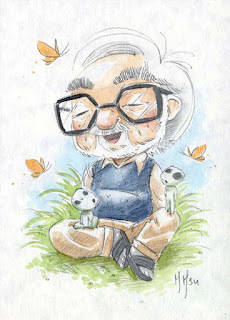 Happy 76th Birthday, Sensei. 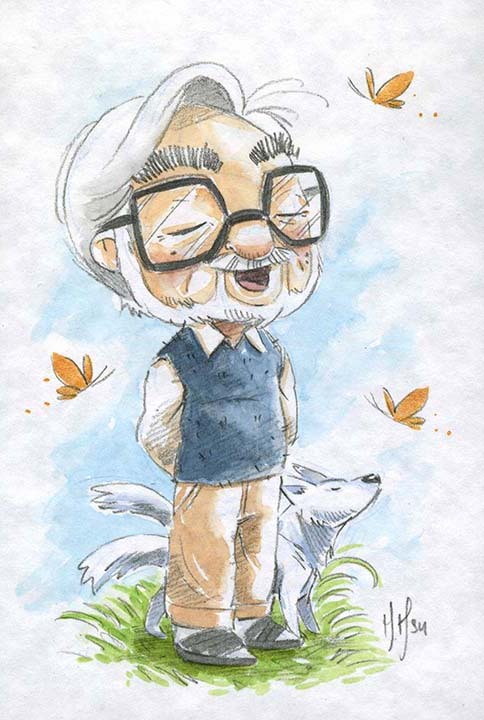 May you continue to inspire us for years to come.